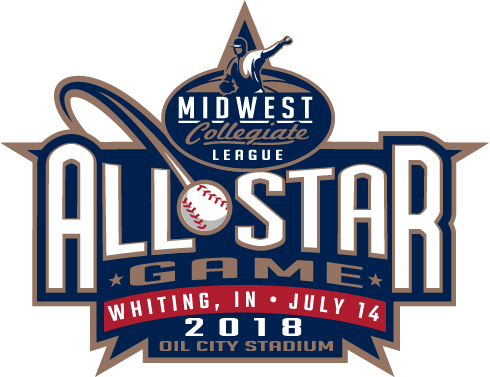 Lemont, Ill. – Aug. 3, 2018 – The Northwest Indiana Oilmen are no strangers to trailing in a game. In fact, they’ve thrived under such circumstances. They made come-from-behind wins a signature move throughout the regular season. They came back to win both games of their MCL Semifinal sweep over Southland. And in Game 1 of the MCL Championship Series on Friday night, they trailed twice but eventually pulled out a see-saw 9-8 victory over the DuPage County Hounds. DuPage County’s first lead came early after a lead-off home run by Danny Gleaves and an unearned tally later in the first inning to make it 2-0. NWI had a quick response by manufacturing two runs in the second as a sac fly and a ground ball drove in the runs in an inning ignited by a Jake Plastiak (Wichita State / Tinley Park, Ill.) double. Plastiak roped another double in the third, this time driving in a run and giving the Oilmen their first lead. He later crossed the dish to make it 4-2. 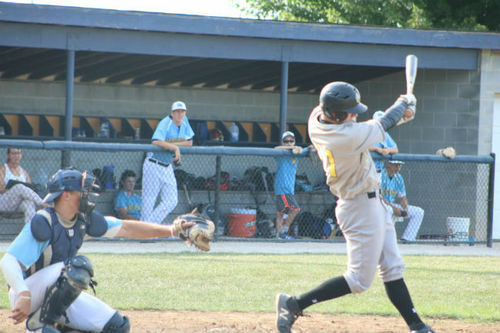 The Hounds got one in the third, then the Oilmen committed three errors in the bottom of the fourth, leading to four unearned runs for DuPage County. Starting pitcher Alex Voss (Butler / South Bend, Ind.) limited the damage to four runs, allowing the Oilmen to escape the frame trailing 7-4. That’s when the offense went back to work – chipping away on an RBI double by Jake Perreira (University of Indianapolis / Grant Park, Ill.) in the fifth before Jackson Dvorak (Missouri St. Louis / New Lenox, Ill.) tied the game at seven with a two-run triple in the fifth. Dvorak scored to put the Oilmen in front on a Nate Montgomery (Tusculum / Geneva, Ill.) sac fly, then Plastiak drilled a solo homer to make it 9-7. Voss went seven strong innings before turning it over to Pedro Rodriguez (Tusculum / Kissimmee, Fla.). Voss eventually got the win as five of the seven runs he allowed were unearned on eight hits while striking out six and walking one. Rodriguez continued a strong showing out of the Oilmen bullpen in the postseason, nailing down the save by limiting the Hounds to one run on two hits over two innings. Only three Oilmen relievers have worked in the playoffs, and every relief appearance has resulted in either a win or a save. Plastiak’s four hits and four runs scored led the way, while Dvorak chipped in three knocks. The Oilmen have a chance to sweep the series and win their third MCL title on Saturday night at 5 p.m. at Oil City Stadium. Tickets are available for $5 on NWIOilmen.com. For those who cannot attend, Brandon Vickrey and Dan Harty will have the call on the Oilmen Broadcasting Network via Facebook Live.